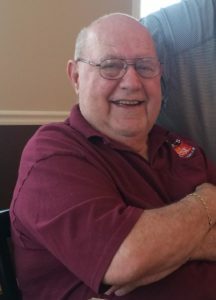 David C. Place Sr., 85, of Oswego died Wednesday April 17, 2019 in St. Luke Health Services, Oswego. Mr. Place was born in Oswego the son of the late Ulysses and Verde (Myers) Place. He was a retired foreman for Nestle’s Chocolate, Fulton. Mr. Place was a communicant of St. Peter’s Church, past volunteer for the Oswego Hospital. He was a longtime softball umpire and basketball referee. Mr. Place served in the United States Army during the Korean War. He enjoyed all sports especially Syracuse University. He was predeceased by his wives Diann Place in 1999, and Barbara Place in 2016, and his sister Beverley McKean. Mr. Place is survived by his children David (Rosemary) Place Sr. of Minetto, Raymond (Kathy) Place of Oswego, Mary Beth Stone of Rochester, his stepchildren Chuck (Cheri) Handley, Tom (Donna) Handley, Karen (Rick) Gell, and his brother Grant (Suzie) Place of Fulton. He is also survived by his grandchildren Erin Place, Thomas Place, Brittany (Michael) Terotta, Shannon (Chris) Stone O’Connor, and Mikayla (Tommy Bellucco) Place. Funeral services will be 12:00 noon Monday, April 22, 2019, at the Sugar & Scanlon Funeral Home. Burial will be in St. Peter’s Cemetery. Calling hours will be Monday from 10:00 to 12:00 noon prior to the service at the Sugar & Scanlon Funeral Home 147 W. 4th. St. Oswego. Malinda Lee “Missy” Skelton, 50; of Fulton passed away Tuesday, April 16th at Strong Memorial Hospital, Rochester, NY after a long illness. She was born in Glens Falls, NY and has been an Oswego County resident for over 25 years. Missy enjoyed playing BINGO and working on crossword puzzles. She was a lover of all animals especially cats. Missy is survived by her husband of 17 years Doug A. Skelton of Fulton, 3 children: Brandon T. (Abigail) Kelso of Liverpool, Michael L. Austin of Volney, Tyler D. Austin of Volney, 1 step-daughter Chelsea E. Mason, her parents: Thomas and Judy (LaPine) Kelso of Baldwinsville, 4 siblings: Cammy Lee Westby of WA, Scott C. Kelso of Fulton, Angie J. Vona of NC, Darren E. Kelso of Baldwinsville, 4 grandchildren: Brooke L. Austin, Mackenzie Mason, Mckayla Mason, Natalie Fischel and several nieces and nephews. Calling hours will be conducted 9:00 to 11:00 AM Saturday in the Sugar Funeral Home, Inc., 224 W. 2nd St. S., Fulton. A Graveside service will be held at 11:30 AM at Jacksonville Cemetery, Lysander, NY with Pastor Bruce Aubrey of the Northside Baptist Church officiating. Leon “Robbie” House Jr. 41; formerly of Fulton and currently of North Carolina passed away suddenly in Fulton, NY. He was born in Oswego, NY. Robbie was past employed with Swift Trucking, Northern Cement, Volney and Ricceli Trucking, Volney NY. He loved working on cars and a good cup of coffee. Robbie enjoyed spending time with his children and family. He is survived by his fiancée: Candy Gibbons of NC, 4 children: Tashia House of Ilion, NY, Leonard House of NC, Leon House III of Fulton, NY, Kiara House of Fulton, NY, 1 step-son Brian Gibbons of NC, father: Leon (Shari Shelnutt) House of Fulton, 3 siblings: George Andrews of OR, Kathy (David) McClellan, and Hope (Lesa) Clary of Hannibal, NY and several aunts, uncles, nieces, nephews and cousins. There will be no funeral services or calling hours. Burial will be held privately. The Sugar Funeral Home, Inc., 224 W. 2nd St. S., Fulton, NY 13069 has care of the arrangements. Richard K. Ingersoll, 61; of Fulton passed away Monday, April 15th at Oswego Hospital, Oswego. He was born in Fulton, NY to the late Kenneth and Beverly (DeLaurie) Ingersoll. Mr. Ingersoll has remained a lifetime resident of Fulton. He was past employed for over 20 years with Applied Industrial Technologies, Syracuse. Mr. Ingersoll is survived by his 2 brothers: Donald (Donna) Ingersoll of Lysander, NY and Daniel (Rebecca) Ingersoll of Oswego, NY; 4 nieces and 1 nephew: Michelle, Eric, Megan, Lisa, and Becky. There will be no funeral services or calling hours. Burial will be held privately in Mt. Adnah Cemetery, Fulton. The Sugar Funeral Home, Inc., 224 W. 2nd St. S., Fulton has care of the arrangements. 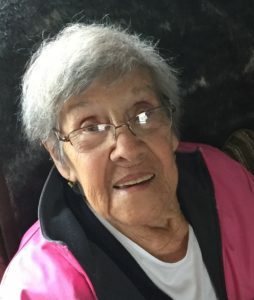 Margaret Savona, 76; of Oswego passed away Thursday, April 11, 2019, in University Hospital, Syracuse after a long illness. Mrs. Savona was born in Buffalo, NY to the late John J. Evangelist and Margaret V. Vitaro. She has been a resident of Oswego for most of her life. 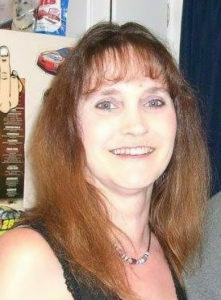 She was past employed as a full-time teacher and then substituted for several years at the elementary level. Mrs. Savona enjoyed watching her soap operas and sports, especially SU basketball and the NY Yankees. She also enjoyed working on puzzles and when she finished one donating them to charity. Mrs. Savona was pre-deceased by her husband Vincent Savona in 2012. She is survived by her children: Michael Savona of Oswego, and Andrew Savona of Oswego, her sister Louise (John) Albanese of Sodus Point, NY and several nieces and nephews. Funeral Services will be held 10:00 AM Monday at St. Joseph’s Church where a mass of Christian Burial will be celebrated. Entombment will be held privately. Calling hours will be conducted Sunday from 1:00 to 3:00 PM at the Sugar & Scanlon Funeral Home, 147 W. 4th St., Oswego.